It was a brilliant weekend for the Indian contingent at Monza this weekend when we had 2 top 10 finishes by Armaan and Parthiva respectively. Armaan Ebrahim who is currently at 7th in the overall standings was unlucky to crash out of the race one after starting 7th on the grid. He more than made up for that with a brilliant 5th place finish after being 16th on the grid after the qualifying. This was Armaan’s best performance in F2 till date and he is getting closer to the podium finish which we have been waiting for. 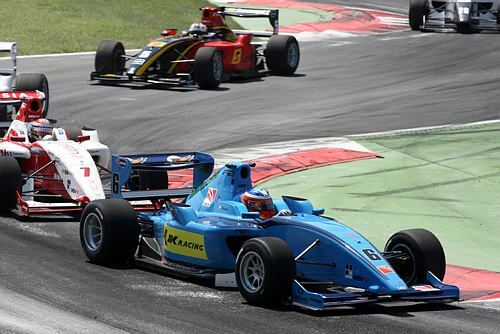 Parthiva Sureshwaran also had a brilliant race where he achieved his first top 10 finish in F2. His race 1 was little disappointing as he finished on 15th but made impressive run in the race two to get his first top 10 finish and thereby grabbing his first points for the season. He will surely want to build on this confidence to climb up the rungs and aim for consistent top 10 finishes for the remainder of the season. So a satisfying week for the Indian racers in F2 this weekend in Monza and this sets up the next race at Zolder brilliantly for the 3 of them. Let’s hope that we have another brilliant race at Zolder.